Every woman wishes to look like a star on the day of their wedding. Hence, it’s even more important to pick the right make up artist for yourself. Here’s a top list of best MUA in KL that will make you feel like a million dollar! 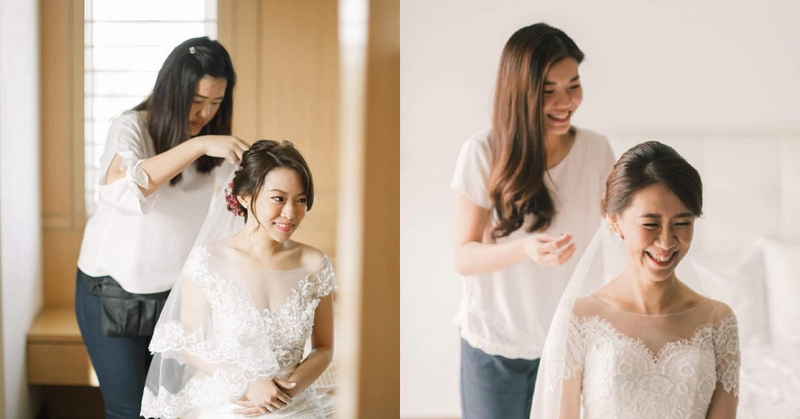 The professional Grace Wang owns a lively personality and this is why many brides-to-be love her. Why is she professional? She set a limit for herself whereby she only takes one client per day. This is to allow her to focus personally on the bride-to-be’s make up and hair throughout the whole day. Rynee, has been featured in The Star, Marie France Asia, and Buro 247. This is enough to explain her professionalism towards bridal makeup! Most bride-to-be who experienced her make up service were more than satisfied with her skills. Worry no more! If you’re looking for a Korean-inspired wedding make up look, Vivi will be the one who can fulfill your wish. Quality, is what means the most to Vincy, you can tell by the recognizable make up products that she uses. Brands like Bobbi Brown, Shu Uemura and more are famous for its quality.